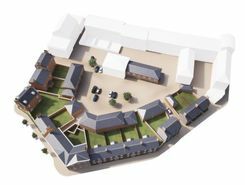 Parkers are delighted to offer for sale this exciting new development of one and two bedroom apartments in the North East Quadrant in Poundbury. 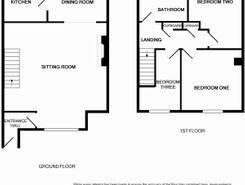 Apartment D is located on the second floor and enjoys two double bedrooms, and a large open plan living / dining / kitchen. The apartment benefits from a single garage. 990ft2. 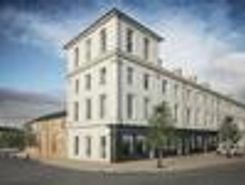 Parkers are delighted to offer for sale this exciting new development of one and two bedroom apartments in the North East Quadrant in Poundbury. Apartment E is located on the second floor and enjoys two double bedrooms, and a large open plan living / dining / kitchen. The apartment benefits from a garage. 990ft2. Parkers are delighted to offer for sale this exciting new development of one and two bedroom apartments in the North East Quadrant in Poundbury. Apartment 35b is located on the first floor and offers spacious accommodation and benefits from a garage. 990ft2. THE JERSEY (plot 21) at Charminster Farm is ideally positioned to the east and west of this prestigious new development near Dorchester. 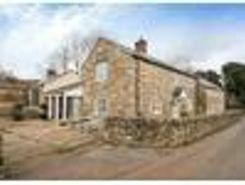 Consisting of five bedrooms, three bathrooms, 3reception rooms and a single garage with off road parking. TheHouseShop have been helping people to save money when buying, selling, renting and letting property in Dorchester in Dorset thanks to their unique property marketplace and expert knowledge of the Dorchester in Dorset property market. Estate agents, online-only agents, private sellers, private landlords and property developers can all list properties for sale and to rent on TheHouseShop.com, as it is the only property marketplace in the UK to accepts listings from both professional agents and individual homeowners. Homeowners can use TheHouseShop.com to compare the best High Street and online estate agents in Dorchester in Dorset, or advertise their property privately. Homeowners in Dorchester in Dorset can use TheHouseShop.com to advertise their property to thousands of buyers for free – saving thousands of pounds in the process. More and more people have been using the internet to sell property privately in Dorchester in Dorset. Setting the right price for your property is essential, especially with house prices in Dorchester in Dorset changing so quickly – but don't worry, you can use TheHouseShop.com to book a free, professional property valuation from an experienced local expert. Private landlords and sellers can make use of TheHouseShop's marketing options to generate more exposure for their property and quickly find the right buyer or tenant. 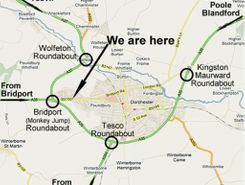 Homeowners in Dorchester in Dorset can use TheHouseShop.com to find thousands of potential buyers and tenants and connect with them directly to save both time and money. If you are selling or letting a property in Dorchester in Dorset, TheHouseShop is a must-see platform for both private sellers and private landlords. 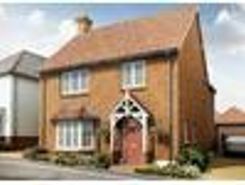 Local estate agents in Dorchester in Dorset also use TheHouseShop.com to find great quality tenants and buyers for their properties by advertising all their listings for free on the website. 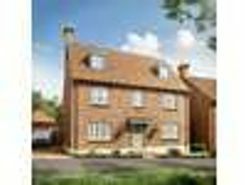 If you are looking for property for sale in Dorchester in Dorset, TheHouseShop has a huge selection of homes available to buy including flats, apartments, detached houses, bungalows, maisonettes, terraced houses and more. TheHouseShop is the only property website to display property listings from professionals and individuals, so you won't find their Dorchester in Dorset properties on websites like RightMove and Zoopla which only show estate agent listings. Make sure you visit TheHouseShop during your property search and don't forget to set up a free property alert to find thousands of unique new homes updated daily. Choosing the best estate agent in Dorchester in Dorset to sell your home is important and TheHouseShop can help homeowners compare Dorchester in Dorset estate agents and make an informed decision on how to sell their home. Property marketplace TheHouseShop attracts tens of thousands of buyers who are looking to buy property in Dorchester in Dorset and the surrounding areas every day. TheHouseShop specialises in the accessible property niche market and have a selection of adapted homes for sale available in Dorchester in Dorset. TheHouseShop work with some of the biggest and best property developers in Dorchester in Dorset to help them market both accessible properties and new homes. Buyers will find a selection of cheap property for sale on TheHouseShop.com. 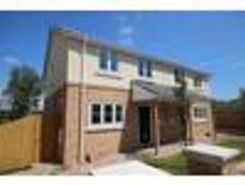 People looking for cheap property and affordable new homes for sale can find property in Dorchester in Dorset available through Shared Ownership agreements. TheHouseShop's free online valuation tool allows buyers to get an estimated house price value for any property in Dorchester in Dorset and make sure that they pay the right price for any property they are interested in. Your one stop shop for all things property - TheHouseShop is here to help everyone buying, selling, renting and letting property in Dorchester in Dorset.